February 5, 2019 – Gulf Coast chemical and energy companies in need of specialty financing, restructuring, or mergers and acquisitions now have greater access to an experienced investment bank to complete the deal. Houston-area executive Chris Artzer has joined Ocean Park, a boutique investment bank, as a managing director to lead the expansion. Artzer’s hiring will enable the company to expand its services into middle-market companies in the petrochemical, specialty chemical and energy fields. Artzer has amassed over two decades of business and legal experience in the energy, petrochemical and biofuels industries as a financial advisor, business executive, turnaround specialist and corporate counsel. Artzer recently served as the vice president and general counsel of TPC Group (formerly Texas Petrochemicals). He also served as the president, interim chief financial officer and general counsel of Inaeris Technologies (formerly KiOR). Artzer will focus on companies in Texas, Oklahoma and Louisiana – a region known for its energy and chemical production. Fisler said he expects growth, restructuring and consolidations within these industries to dominate, creating increased need for experienced investment banks. 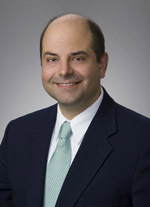 Artzer received a bachelor’s degree from Dartmouth College and his Juris Doctor degree from the University of Texas School of Law.